Dr. Benjamin DuBois, MD is a board-certified and fellowship-trained orthopaedic surgeon who devotes 100% of his practice to the treatment of shoulder disorders. Dr. DuBois has expert training in shoulder surgery, and has extensive experience in shoulder replacements, rotator cuff disorders, and arthroscopic shoulder surgery. He is trained in state of the art techniques including the reverse ball and socket shoulder replacement and performs in-office shoulder ultrasound for the immediate diagnosis of rotator cuff disorders. Dr. DuBois received his undergraduate degree from Oregon State University, graduating in 1994. He then graduated from the Keck School of Medicine of the University of Southern California in 1998, receiving his M.D. with Highest Distinction, an honor bestowed on the top 5% of his class. He was recognized for his academic achievements by being named to the Alpha Omega Alpha and Phi Kappa Phi honor societies. After medical school, he entered orthopaedic surgery residency at the University of Washington, considered one of the top medical centers in the world. He completed his residency training in 2003. Because of his keen interest in shoulder surgery, he completed a one-year advanced shoulder and elbow surgery fellowship at the University of Washington with a focus on shoulder replacements and rotator cuff disorders. 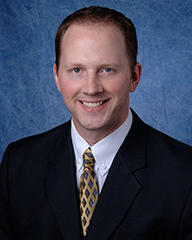 Dr. DuBois moved to San Diego and joined Grossmont Orthopaedic Medical Group in 2004. Since then he has established himself as one of the leading shoulder surgeons in Southern California. He has lectured at national meetings and has trained hundreds of other physicians on shoulder ultrasound. Dr. DuBois is board-certified by the American Board of Orthopaedic Surgery, and is a Fellow of the American Academy of Orthopaedic Surgeons, class of 2008.